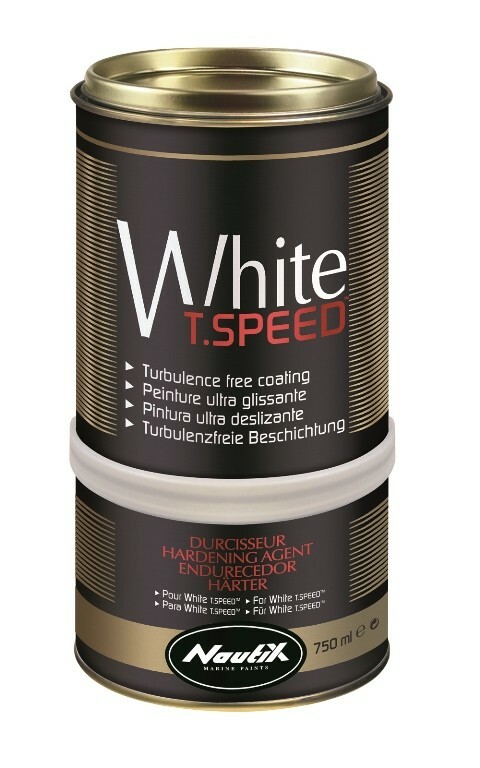 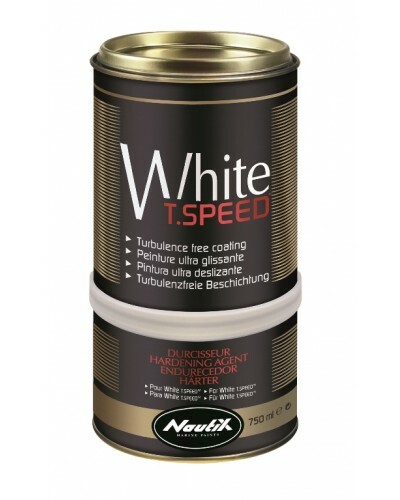 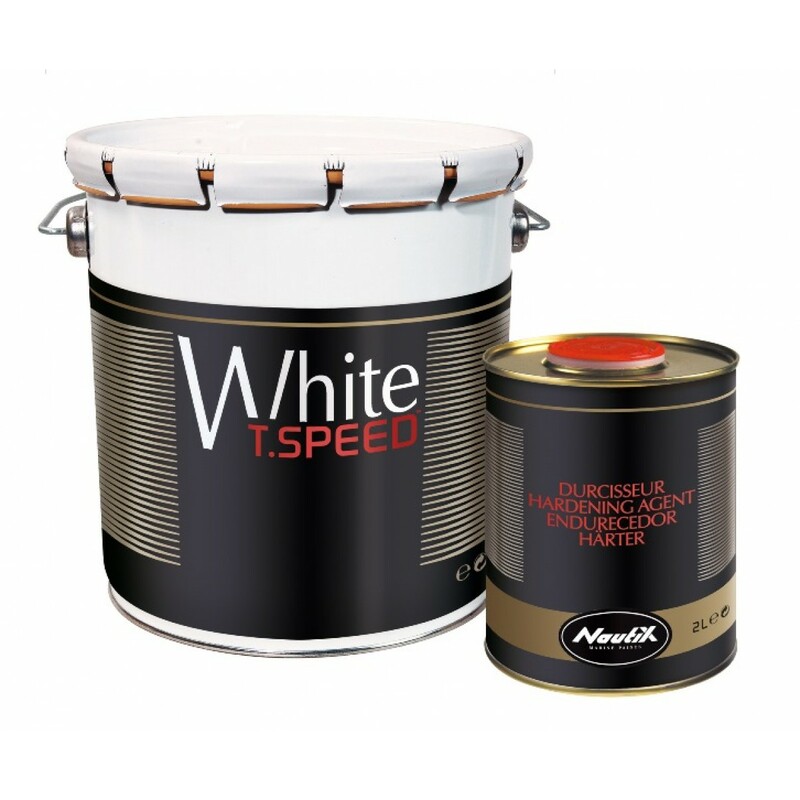 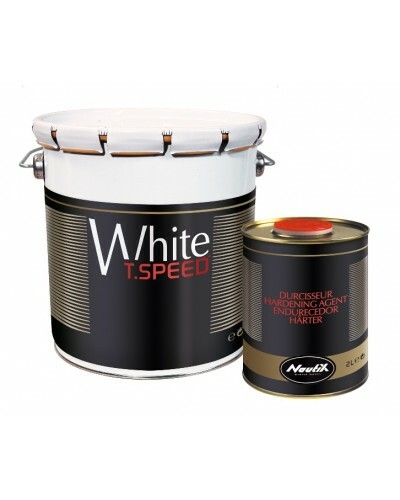 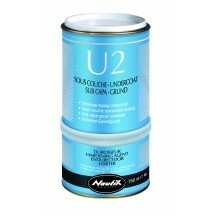 Nautix WHITE T.SPEEDTM is 2-pack finishing coating with smooth effect to improve speed and to reduce fuel consumption. 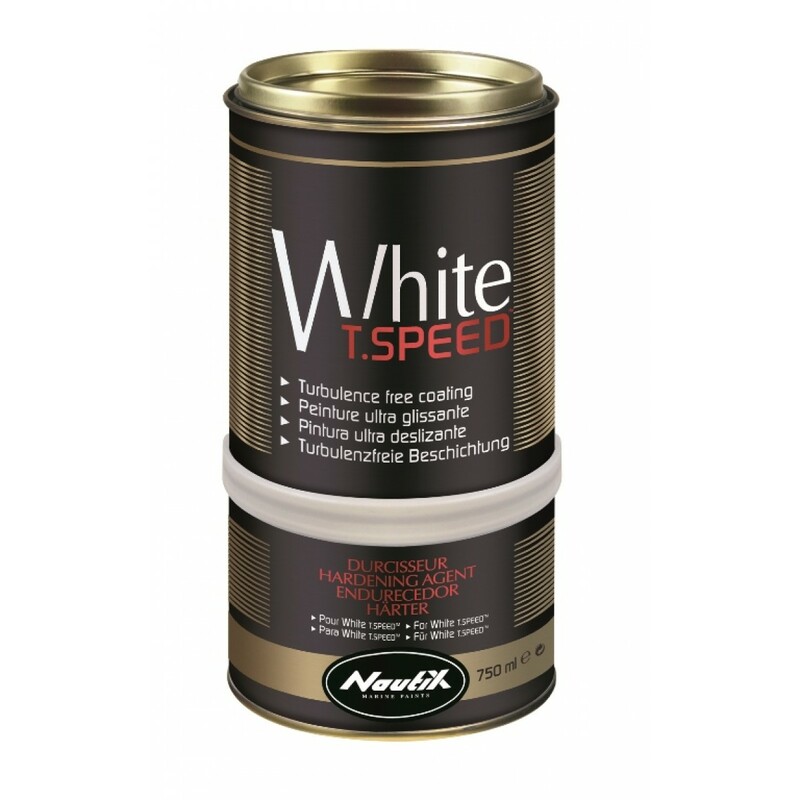 It contains a high percentage of gliding-effect components called T.SPEEDTM which increase boat performance and makes easier cleaning of the hull. 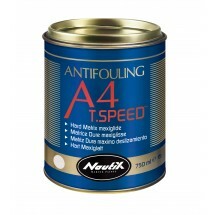 This paint is not antifouling (this means “neutral” for marine environment) and is recommended to be applied over dry sailing boat hulls or for boats staying no more than 10 days in water (without cleaning). 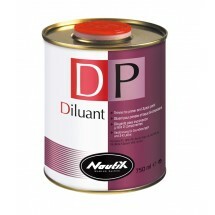 Spray gun application (for professionals only) is strictly recommended to provide an extended paint film.